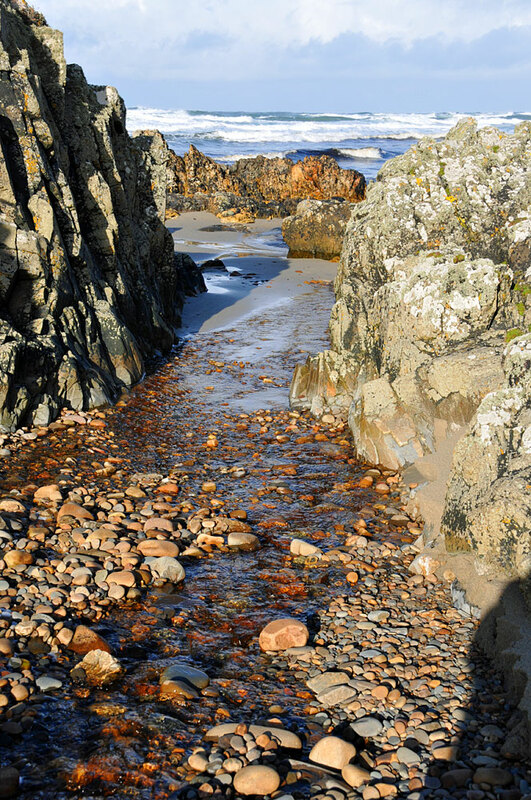 A view at Saligo Bay on the west coast of Islay. Water running off the hills is slowly trickling over stones on the shore and through some rocks towards the beach. This entry was posted in Beaches, Cloudy Weather, Landscape, Repost, Sunny Weather and tagged Islay, Rhinns of Islay, Saligo, Saligo Bay by Armin Grewe. Bookmark the permalink. Someone looked over my shoulder while I was looking at this lovely picture and he asked me what type of camera you took this picture with. I, ofcourse, don’t know. But you probably do! Could you answer his question? I’m not sure which camera exactly I used here, but it would have been a Nikon DSLR. Probably the D300s.